2To prepare the noodles: Spiralize the zucchini with a spiralizer or turn the zucchini into noodles using a julienne peeler. 3Next add 2 tablespoons Nuttelex in a fry pan and once the pan is sizzling hot add the zucchini noodles. 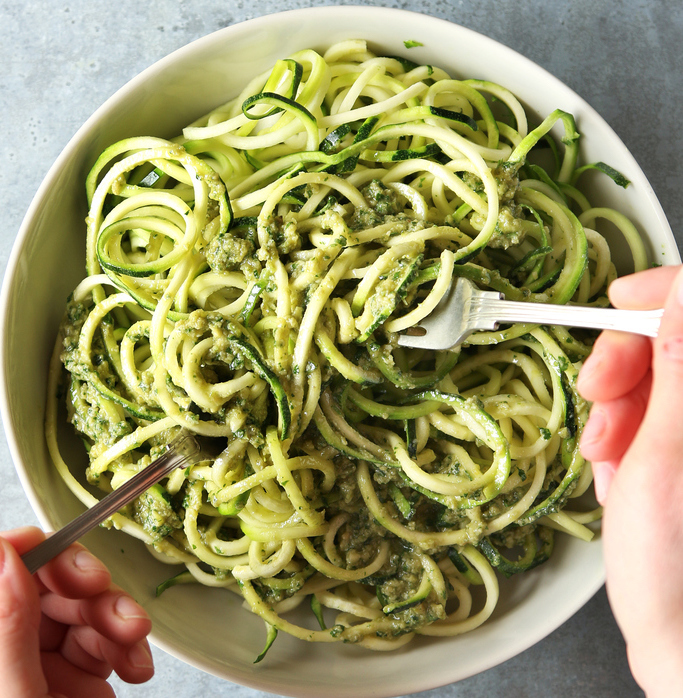 Constantly toss the zucchini noodles with tongs for 5-7 minutes until cooked but still al dente – be careful not to overcook as they can quickly wilt and go mushy. 4Gently stir in pesto until well coated, and add a final sprinkle of salt and or cheese before decanting to serving bowls.